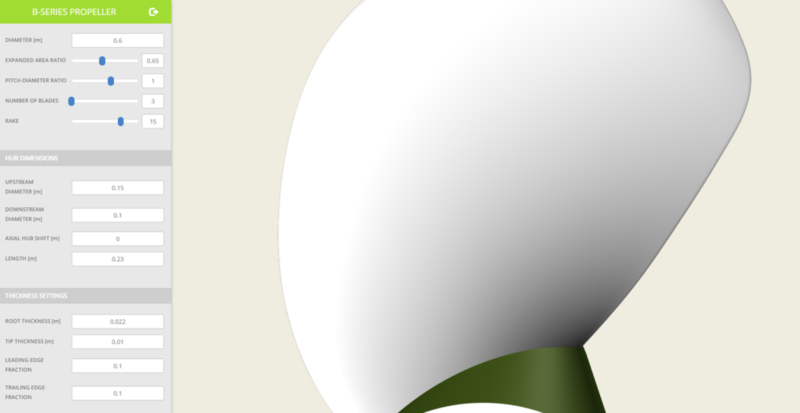 CAESES > News > Wageningen B-Series: Online Propeller Tool Released! We are excited to announce the first release of our online propeller tools. This web service is driven by CAESES® and generates solid propeller geometry by means of the famous Wageningen B-Series profiles. 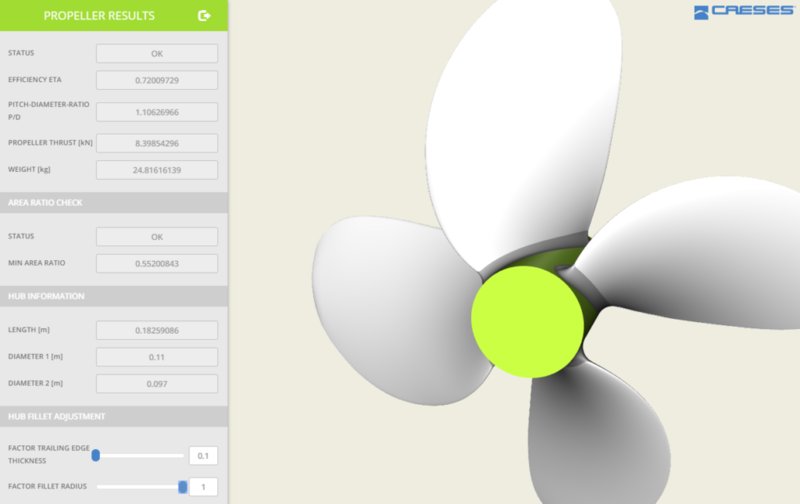 All provided tools are easy to use and beautifully designed to make propeller design a joy! The geometry tool takes into account ISO standards for the various propeller thickness settings. The propeller open water efficiency is calculated as well as the pitch-diameter ratio, the propeller thrust and the total weight. The final geometry can be downloaded as STL or STEP file. There is no engine information required and no automated thickness calculations are triggered – it’s just a simple and fast geometry creator. In order to generate a valid geometry with one of the tools, the user has to make sure that the provided input is appropriate. Our propeller apps are still in a beta phase and we are currently collecting feedback. Please give us your rating and send us your comments on how to further improve things (see the bottom of the B-Series website)!